The library ‘Occasional Publications’ is the most comprehensive. The books published as part of this collection are the product of project activities undertaken by the Centre, from its establishment in 1995 to today. 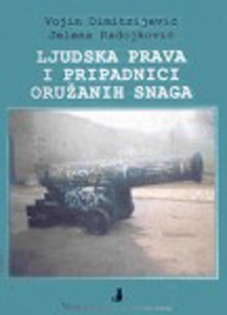 ‘Occasional Publications’ includes books translated into Serbian that directly or indirectly relate to human rights and books that Centre published in co-operation with other foreign or local partners. Collections of articles and handbooks that Centre uses as seminars’ material are also part of this library. Sonja Toškovic, The Human Rights Of Migrants and Refugees In the Republic of Serbia, 2017. The purpose of this publication is to provide legal and factual insights into the current state-of-play of the economic, social and cultural rights of migrants and refugees in the Republic of Serbia, and to bring recommendations to advance this area of policy and practice, on a human rights basis. The publication focusses on two human rights set out under international law – the right to education and the right to work. However, it also devotes attention where relevant to inter-linkages with other human rights. Read here..
Nikolina Milić (ed. ), Unaccompanied and Separated Children in Serbia (in Serbian and English), 2017. Jelena Radojković (ed. ), Migration and International Human Rights Law, Guide for Practitioners no. 6 (in Serbian), 2017. […] The reality, however, is that rights are illusory if there is no way to claim their implementation. A national legal system that can provide effective access to justice and remedies for violations of human rights is therefore essential. […] In this world, migrants have rights, but no or little way to make use of them or ask for their respect. They are legally voiceless. […] This Guide is intended as a tool for lawyers, judges, public officials, human rights defenders, or for migrants themselves, to better understand the international human rights of migrants and the means to claim their respect or implementation at the national and international levels. Sonja Toškovic (ed. ), Asylum Act Gender Analysis – Enforcement of the Gender Equality Principle in the Asylum System in the Republic of Serbia (in Serbian and English), 2016. The authors analysed the relevant international refugee law standards on the protection of women refugees. They focused their analysis on the valid Asylum Act of the Republic of Serbia, which came into force in 2008, and on the provisions in the draft of the new asylum law. Sonja Tošković (ed. ), Serbia from Transit to Destination Country – Refugee Integration Challenges and Practices of Selected States (in Serbian and English), 2016. The authors of the publication presented their countries (the Former Yugoslav Republic of Macedonia, Slovenia, Serbia and the Netherlands) and their asylum law, with particular focus on the system of integration of people granted international protection. This publication has endeavored to present various integration systems, which demonstrate that the main issue today is the extent to which integration-related rights are limited, how they are protected by international documents and the headway each of the selected states has made in this area. The Kingdom of the Netherlands is also included in this publication because of its impressive refugee integration system. BCHR associates had the unique opportunity to go on a study visit to the Dutch Refugee Council in Amsterdam, to familiarize themselves with the Dutch asylum system, integration policy and the role of civil society organizations in the integration of persons granted international protection. Vojin Dimitrijević, Right to Asylum on the Territory of a Foreign State – Territorial Asylum (in Serbian), 2015. Professor Dimitrievic’s PhD thesis RIGHT TO ASYLUM IN THE TERRITORY OF A FOREIGN STATE, we have published without any changes, as it was published in 1969. It is just as relevant today as it was at the time he wrote it, and we think it will prove useful to migration policy makers, academics and all those dealing with refugee law cases. But, above all, we hope that the crux of Profesor Dimitrijevic’s message – his call for humaneness and solidarity – will affect the thinking and decisions of its readers. 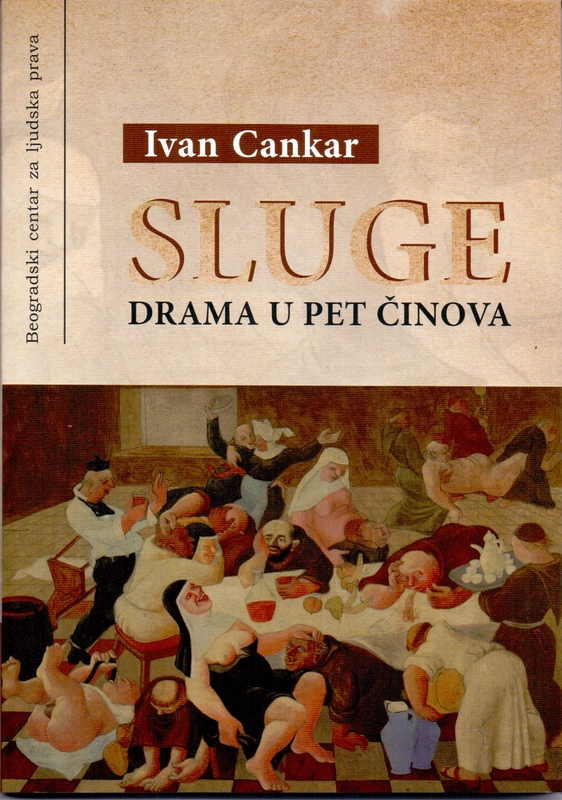 Ivan Cankar, prevod i adaptacija Branka Dimitrijević, Sluge, drama u pet čina, (in Serbian), 2015. […] Yes, for more than a hundred years Cankar’s drama titled Servants addresses the reader/viewer, throwing at his/her face the failure of the transition, the impossibility of positive transformation of us, regular citizens into people – active, civically responsible, aware of our rights and responsibilities. After more than one hundred years, this engaged drama is still contemporaneous, but seeing as the society which the author addresses has not changed, maybe it could be proclaimed a drama of absurds. It begs the same question over and again: who are the servants – those who are afraid to act with their voice and wit in front of power, in front of authorities? Those who are bothered by such an independent, subjective, active, real citizens’ voice, and then plot schemes of revenge against that independent voice? Or those that stay blind and forgetful of the basic human rights and responsibilities? Jelena Radojković (ed. ), Measures for decreasing the prison population – examples of good practice (in Serbian), 2014. This publication of the Belgrade Centre for Human Rights, published with the support of the Open Society Foundation, is a kind of a review of the examples of good practices in the Kingdom of the Netherlands and Germany related to the decrease of prison populations. Seeing as Serbia itself has an issue with prison overcrowding, this publication serves as a review of measures which could be taken to the avail of improving the criminal sanction system in Serbia. In memoriam: Vojin Dimitrijević (in Serbian), 2012. 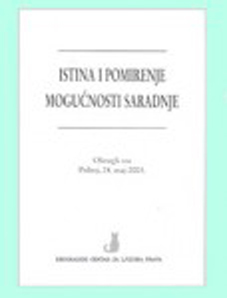 […] This book “in memoriam” to Vojin Dimitrijević is being published two months after his death, on the occasion of December 10, the international human rights day. 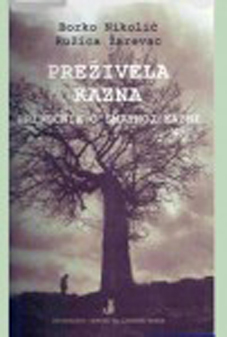 This book was created as a result of our mutual need to gather a large selection of public reactions, memories, condolences, and statements of non-acceptance of the death of “one great man in one small country”, as phrased by Vesna Rakić-Vodinelić in her commemorative speech, in one place. Texts in this publication were written during October 2012, and directly illustrate the social importance and influence of Vojin Dimitrijević, not just in the field of his profession, but also in the sphere of civil society, and especially among those who constituted, and still constitute the most consistent and active front of resistance against the path which Serbian politics embarked upon in the late 1980s. Bojan Gavrilović (ed. 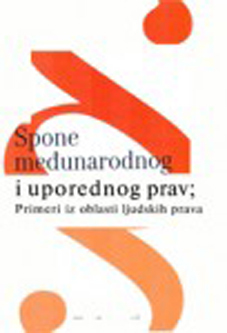 ), Recommendations on How to Improve the Legislative Framework and Practices Regarding the Prevention and Punishment of Ill-Treatment in Serbia (in Serbian and English), 2012. This publication came about as a result of the project titled ” Prevention and Punishment of Ill-Treatment – from Adoption of Legal Standards to Improvement of Practice” which the Belgrade Centre for Human Rights implemented from 2009 until 2012, with the support of the European Union and the Open Society Institute. It contains recommendations for the improvement of legal practice in the area of prevention and punishment of ill-treatment in Serbia and contains solutions for issues that were established through research implemented as part of the project. Recommendations related to the judiciary, as well as those related to the implementation of criminal sanctions, were formulated and addressed to the Ministry of Justice. Furthermore, recommendations for the Ministry of Interior and Ministry of Health were also formulated. Jovan Byford, Old Fairgrounds in Belgrade: a site remembered, forgotten, contested, (in Serbian), 2011. 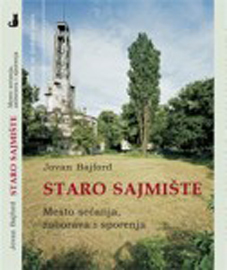 Jovan Byford’s book was written as the result of research on the culture of remembrance of the Holocaust in Serbia. From 1941 to 1944 nearly 20,000 people died in the concentration camp in the Fairground in Belgrade. This was the biggest contrencation camp that the occupying forces established during the Second World, but was also one of the first Nazi camps in Europe intended for the mass internment of Jews. 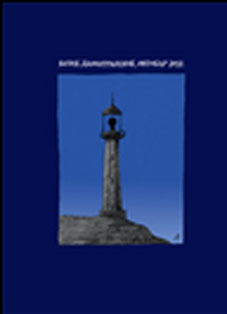 Having studied extensive documentation, in this analysis Jovan Byford creates the basis for considering ways to remember human suffering that would honour victims, recollect the experiences which must never be repeated and which would contribute to the creation of symbolic spaces where the ugly past, as well as a better future, may be met. 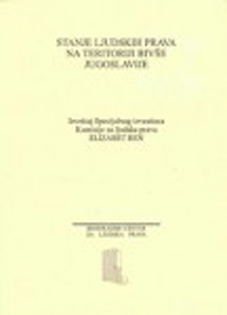 Vida Čok, Interaction of International and Comparative Law (in Serbian), 2010. Dr Vida Čok, who has spent her working life in the once-respectable Institute for Comparative Law, in this book presents a collection of her texts publishes in journals or in books over the past 50 years. This period encompasses her intense work on studying contemporaneous issues in international law and her research on the nature and effect of comparative law. The book deals with human rights, to which she has made significant contributions, especially via her book “The Right to Citizenship”, published in 1999. 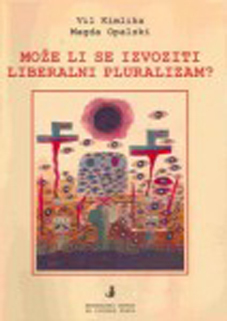 Besides some older work by Borislav Blagojević and Borko Nikolajević, this book remains the highest achievement of our jurisprudence on this difficult and complex matter, where human rights clash (and must be reconciled) with state sovereignty. Vojin Dimitrijević, Vidan Hadži-Vidanović, Ivan Jovanović, Žarko Marković and Marko Milanović, The Hague Puzzle (in Serbian), 2010. The Hague Puzzle was written after seventeen years of the existence of the International Criminal Tribunal for the former Yugoslavia, a period which has been marked by both criticism and praise for the Tribunal. However, in public these reactions were rarely founded on facts, and even more rarely still, founded on legal analysis. Typically, they were based on personal sympathies, discomfort or hostility towards the existence of such an institution. This book therefore seeks to highlight the facts, to provide information that are as objective and reliable as possible and to present and explain legal issues that the Tribunal presents. Dubravka Stojanović, Radina Vučetić, Sanja Petrović Todosijević, Olga Manojlović Pintar and Radmila Radić, News from the Past (in Serbian), 2010. The book is the result of research carried out by the Belgrade Centre for Human Rights as part of a project financed by the Delegation of the European Union to the Republic of Serbia. This research encompassed a detailed public opinion survey on how citizens view the past (national and general history), themselves and others in it, as well as how prejudice and misinformation influence their judgement and decision-making today. The book contains texts which indicate the results of the survey, citizens’ misconceptions of some historical events, the role of the media and elites in studying history and creating misconceptions and dilemmas for citizens. Thomas Buergenthal, Lucky Child – The Memories of a Boy who Survived Auschwitz (in Serbian), 2010. The author of this book is the well-known professor of international law who has served as a judge on the International Court of Justice and on the Inter-American Court of Human Rights, Thomas Buergenthal. He leads us through the dark maze of Central Europe just before, during and after the Second World War, describing the horrific events that occurred to his family and to him, through the eyes the child that he was at the time. Without attempting to alter his memory at all, either by painting a better or worse picture of his memories, he describes the lowest and the noblest characteristics of people with the carefulness and immediacy of a child. The greatest value of this book, which should be recommended to everyone from age 6 to 96, lies in its authenticity, immediacy and, above all, humanity. Precisely because of this, this book is tied to the author’s vocation which is primarily dedicated to the fight for human rights. Namely, just as human rights stem from our humanity, so this book has an effect on people irrespective of their nationality, race or skin colour. Through the power of personal experience it highlights universal values embodied by human rights and stirs feelings, which cannot be raised by proven demagogic methods, nor can they be manipulated, relativized or sullied. Sonja Tošković, Nevena Dičić, Guide through the Public Administration in Serbia (in Serbian and Roma), 2010. This guide published in two languages – Serbian and Roma, is emphasising importance of the representation of members of national minorities in Serbia’s public administration, as well as realization of other minority rights towards the improvement of their general social position. Miloš Stopić, Nevena Dičić, Jovana Zorić, Main Thrusts of Environmental Protection in Serbia, 2009. The analysis of the ‘Main Thrusts of Environmental Protection in Serbia’ portrays the existing system of environmental protection in Serbia. The subject of the analysis is also the work of state bodies in the enforcement of existing laws. Particular attention is paid to issues of protection of the right to a healthy environment before courts and to public participation in the making of decisions on the environment, as well as to the pace of the adoption of new laws in this field. Miloš Stopić, Nevena Dičić, Jovana Zorić, The Brief: Main Thrusts of Environmental Protection in Serbia (in Serbian), 2009. Besides the comprehensive publication ‘Main Thrusts of Environmental Protection in Serbia’ the Belgrade Centre published this short overview of the analyses carried out, which is aimed primarily at journalists but also to all those that require key information about our environment. Miloš Stopić, Jovana Zorić, Right to a Healthy Environment in the case law of the European Court of Human Rights, (in Serbian), 2009. The European Convention on Human Rights does not mention the right to a healthy environment. Nevertheless, the European Court of Human Rights recognizes the importance of this right and offers protection to various aspects of the environment, indirectly correlating them to rights guaranteed by the Convention. For this reason, the Belgrade Centre for Human Rights prepared this short and useful guide to the case law of the European Court of Human Rights in this field. 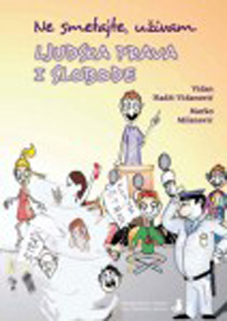 Jovana Zorić, Nevena Dičić, Nenad Petković, Women’s Labour Rights in Serbia, (in Serbian), 2008. The position of women in Serbia was for decades founded on their unequal treatment. In 2008 the Centre conducted research on women’s perception of their rights’ protection and the legal basis for the protection of women’s rights in workplaces in Serbia, through the project ‘Labour rights and discrimination – awareness and attitudes of women in Serbia’. Along with this research, a report was made on court proceedings, media reports on these issues and relevant domestic and international sources of law, all of which is published in the book. Monitoring and reporting the activities of judicial institutions in Serbia in the field of organized crime, war crimes, discrimination and domestic violence – Report, (in Serbian), 2008. In 2007, the Belgrade Centre for Human Rights carried out continual monitoring of the activities of judicial and other state institutions in four areas: prohibition of discrimination, organized crime, war crimes and domestic violence. This report presents observations obtained during the monitoring as well as recommendations for overcoming the problems in these areas. 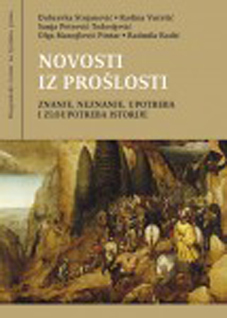 Dino Abazović, Jelena Radojković, Milan Vukomanović, World Religions – Buddhism, Christianity, Islam, (in Serbian), 2007. 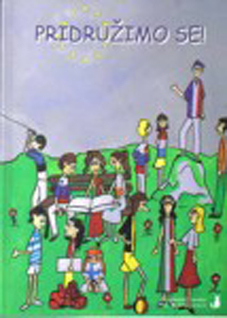 Realizing that in the school curriculum there is no subject offering a comparative description of different religions, the Belgrade Centre, within the scope of a project for youth, published this book written in simple language comprehensible to the age group it is aimed at, which describes religions professed by over 60% of humanity. The authors’ tenacity is to help the younger generations to become familiarized with other religions, to better comprehend the lives of other peoples, customs and cultures and thereby to contribute to the understanding of differences and strengthen tolerance among the youth. The book presents the lives of Shakyami Buddha, Jesus Christ and Mohammed, their impact on religion, teaching, sacred books, development and spread of religions, major holidays, religious objects, monks and symbols in religion. Milica Delević Đilas, Nataša Govedarica, Vidan Hadži-Vidanović, Marko Milanović, Vesna Petrović, Jelena Radojković, Let’s Join! 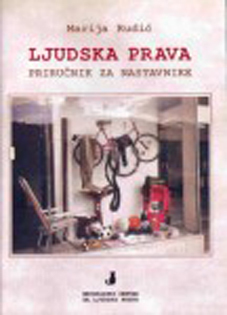 third edition, (in Serbian), 2007. The booklet ‘Let’s Join!’ is the product of a project whose aim was to familiarize high school students with the European Union as school curricula still do not cover this topic. The idea behind this book is to present in an interesting way the processes of European integrations and the EU itself. Vidan Hadži-Vidanović, Marko Milanović, Don’t Disturb, I’m Enjoying my Rights and Freedoms, (in Serbian), 2006. The Centre’s long experience has demonstrated that publications specially designed for young people leave the biggest impression on them. Besides offering young people the opportunity to learn about certain rules and mechanisms for their protection in an interesting way, all the texts are permeated by ideas of tolerance, prohibition of discrimination and respect for the law. The authors concisely present the concept of human rights and describe the contents of specific rights in a way that is appropriate to the readers’ age. Bojan Đurić, Tax Reform for Human Rights, (in Serbian and English), 2006. One of the main challenges faced by non-governmental organizations committed to promoting human rights, the development of civil society and democracy is the lack of permanent and sustainable sources of funding internally. Based on other countries’ experiences, the aim of this booklet was to propose appropriate legislative reforms and that tax policy should be such that through tax levies or credits funds are diverted to the advancement of civil society in its entirety. Wolfgang Benedek (Ed. 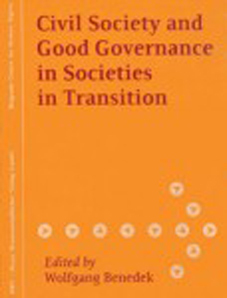 ), Civil Society and Good Governance in Societies in Transition, 2006. 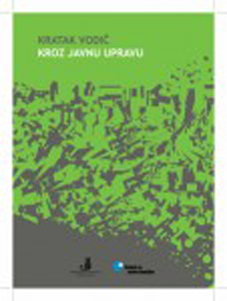 This collection of essays on civil society and its emergence and development in South-east Europe after changes in social and political structure presents a comparative analysis of the development, role and influence of NGOs on the rule of law in this part of Europe. Young authors, mostly NGO activists who tried to critically reflect on the impact of this sector of society on the improvement of the state of human rights, rule of law and development of democracy and to point out the contribution that this sector has made to the transition process, wrote the texts. Gerry Simpson, Great Powers and Outlaw States, (in Serbian), 2006. This book presents a theoretical study of legal mechanisms that allow the rule of the powerful and the marginalization of poor countries. He insists in this book that international relations are founded on the power of certain strong countries that throughout history have been in a position to decisively influence the fate of weaker countries. Simpson illustrates how certain countries gain the epithet of ‘pariah states’ in the international order and how they are subject to international sanctions. His thesis is based on the analysis and comparison of the balance-of-power system existing in Europe since 1815 until the beginning of the twentieth century, the system created after the First World War by the creation of the League of Nations and the system based on the Charter of the United Nations. Jovan Byford, Conspiracy Theory: Serbia versus the New World Order (in Serbian), 2006. The book “Conspiracy Theory: Serbia versus the New World Order” is a slightly altered version of Jovan Byford’s doctoral thesis in which he dealt with the study of Serbian conspirational culture. In his work he considered the history of this model of thinking in this region and the specifics relating to the Serbian conspirational culture. He considered in particular the movements he defines as Serbian populist and right-wing politics and the phenomenon which we encounter daily as for example diffusion of suspicion through the media. He also dealt with anti-semitism in Serbia and other symptoms affecting the formation of conspiracy theories. The European Path in the Eyes of the New Generation (in Serbian), 2006. Within the scope of the EU Login project, the Centre held 2-day seminars for high school students on the EU in 15 cities in Serbia. This publication contains the seminars’ participants’ work – 54 essays, drawings, installations, collages on the theme of the EU and its relations with Serbia, which they presented at a competition held during the project. Belgrade Centre for Human Rights since 1995 (in Serbian and English),2005. 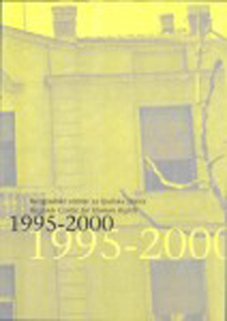 The Belgrade Centre for Human Rights was founded in 1995, and this book published on its ten year anniversary explains the reasons and motivations for the establishment of the Centre, and the activities it has since undertaken: numerous seminars and lectures, research projects, reports on human rights etc. Bojan Đurić (ed. 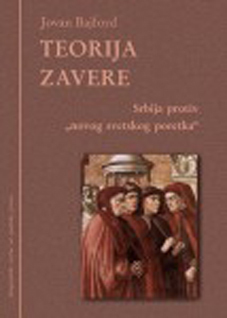 ), New Wave – Collection of Essays (in Serbian), 2005. The Belgrade Centre uses every opportunity to offer young experts an opportunity for the future. This publication collects into one place the work relating to various themes of human rights and the rule of law, politics, media etc. whose authors are the students of the Centre’s Human Rights Schools. 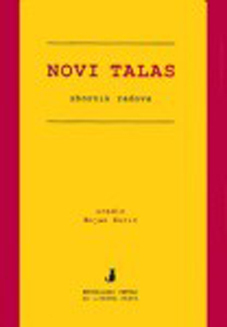 Wolfgang Benedek, Minna Nikolova (eds. 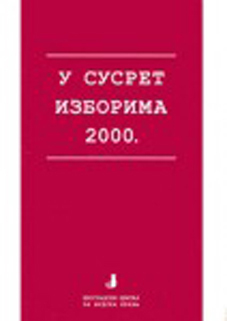 ), Understanding Human Rights Manual on Human Rights Education (in Serbian, co-published with the Ministry of Human and Minority Rights of Serbia and Montenegro), 2005. The handbook was produced at the initiative of the Human Security Network by experts of the European Training and Research Centre for Human Rights and Democracy in Graz. It was conceived as a handbook for the education and study of human rights in different cultures. Besides illustrating theory, this handbook is especially useful for teachers and lecturers as it offers suggestions for workshops as well as interesting real life examples. Igor Bandović (ed. 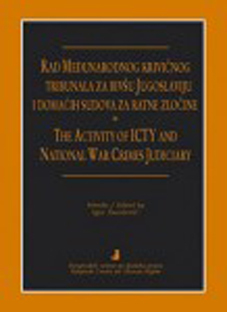 ), The Activity of ICTY and National War Crimes Judiciary (in Serbian and English), 2005. This publication contains results of a survey on citizens’ views on some of the most controversial themes in our political life: The Hague tribunal, domestic judicial institutions for war crimes and the process of confronting the past, conducted in 2003-2005. Additionally, the publication includes a chapter on the work of The Hague tribunal from 1998 to 2004, confronting the past, transitional justice and difficulties that international courts have in their relations with the public that are published in the Centre’s annual reports on the state of human rights. Truth and Reconciliation (in Serbian), 2003. The Belgrade Centre’s office organized a round table in Priboj on the theme of ‘Truth and Reconciliation’, possibilities of co-operation in an effort to highlight the need to establish dialogue, co-operation and trust between different national, religious and ethnic groups. This publication includes the work of the following participants: Jusuf Čolović, Nebojša Popov, Milan Popović, Šeki Radončić, Dragan Prelević, Čedomir Čupić. 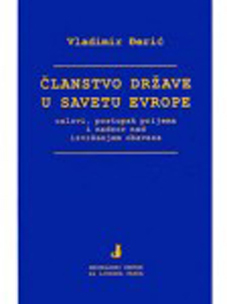 Milica Delević Đilas, Vladimir Đerić (eds. 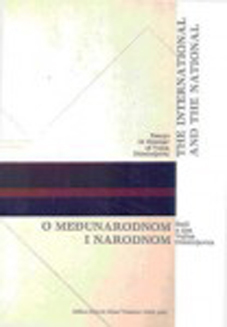 ), The International and the National – Essays in Honour of Vojin Dimitrijević (in Serbian and English), 2003. The reason behind the publication of this collection of essays was Prof Vojin Dimitrijević’s friends’ desire to give his academic work and fight for human rights and democracy recognition. The authors of the essays in Prof Dimitrijević’s honour are not just his colleagues, but his childhood friends and fellows in the struggle against the authoritarian regime. The authors include: Christian Tomuschat, Vladimir-Đuro Degan, Lidija R. Basta Fleiner, Tibor Varady, Dušan Makavejev, Veran Matić, Vesna Petrović. 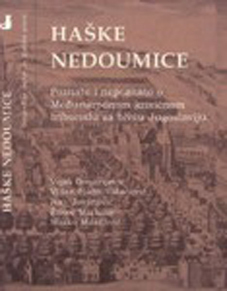 The publication contains text in Serbian and English. You are Right! (in Serbian), 2002, 2003, 2004. The guide for young people is the product of the Belgrade Centre Youth Group which was founded in 2000 and by 2001 already published ‘You Are Rights!. This short guide to the legal system was deemed to be very interesting and useful, with three published editions. 85,000 copies were distributed to all final year students in Serbian high schools. The aim of this publication was to strengthen democracy and promote its virtues by diffusing knowledge among the youth about what their rights are and what obligations they are bound by. The booklet ‘You are Right!’ was presented at the EXIT festival in 2005. Will Kymlicka, Magda Opalski (eds. ), Can Liberal Pluralism Be Exported? (in Serbian), 2002. The authors consider the issue of transition in Eastern European countries with special emphasis on minorities and their rights. They attempted to determine in their research whether it is possible to apply theories of liberal pluralism in these societies where a long-term influence of collectivist and communist ideologies is deeply entrenched. The aim of the research was not to force the model of western countries on these countries in transition but only to illustrate the effect that that model might have on societies in transition. Mirjana Todorović (ed. 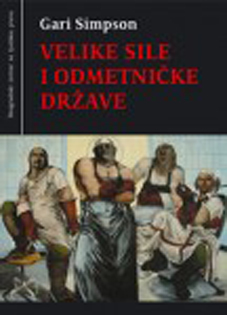 ), Culture of Human Rights, (in Serbian and English), 2002. In co-operation with the Balkan Human Rights Network the Belgrade Centre published a collection of texts written by prof. dr. Vojin Dimitrijević, prof.dr. Wolfgang Benedek, Nenad Popović, prof. dr. Radovan Radonjić, prof. dr. Mirjana Todorović, Miodrag A. Jovanović, prof. dr. Mirjana Najčevska and Lada Sadiković. The authors endeavoured to study the wider context of the actual enjoyment of human rights, not only respect of legal norms and therefore contribute to the diffusion of the culture of human rights in our region. 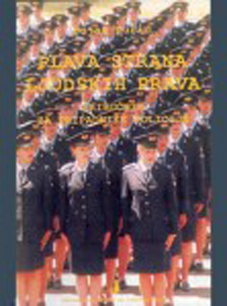 Vojin Dimitrijević, Jelena Radojković, Human Rights and the Armed Forces (in Serbian), 2002. The Centre published the handbook ‘Human Rights and the Armed Forces’ to familiarize the armed forces and all those who in any way come into contact with them with this field. The book concisely explains concepts important for the understanding of human rights law and explains in detail certain selected rights and points to the fact that there are limits to the full enjoyment of human rights for members of the armed forces. Bojan Đurić, The Blue Side of Human Rights – Handbook for Members of the Police (in Serbian), 2002. This booklet is intended for members of the ministry of interior affairs. The purpose of this short booklet is provide to the police insight into the concepts necessary for the understanding and respect for human rights standards, sources of human rights and mechanisms for their protection at the international and domestic level. Standards relating to rights of people deprived of their liberty, the relations between members of the police force and particularly vulnerable groups and the occurrences of torture and inhuman and degrading punishment and treatment. 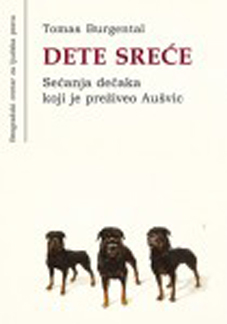 Borko Nikolić, Ružica Žarevac, An Obsolete Punishment – Handbook on the Death Penalty (in Serbian), 2002. In 2002 the Centre conducted a survey on citizens’ views on the death penalty and implemented a project aimed at the abolishment of the death penalty in our country’s legal system. This handbook contains the results and analysis of the survey, a legal analysis of the conditions for imposing the death penalty in international human rights instruments and a comparative overview of the execution of the death penalty in the world today. 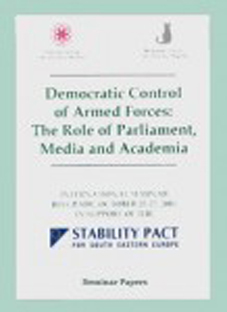 Democratic Control of Armed Forces: The Role of Parliament, Media and Academia, International seminar, Belgrade, 2001. In October 2001 in Belgrade an international conference on the ‘Democratic control of armed forces’ took place, in the co-operation between the Federal College for Security Studies in Berlin and the Belgrade Centre for Human Rights. The book contains introductory presentations from the conference on democratic control of armed forces in transitional societies and the changed international environment, the role of parliament in the control of armed forces and the importance of the academic community in this matter. 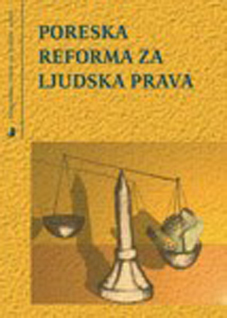 Legislation on the Threshold of Reforms – Collection of Essays (in Serbian), 2001. At meetings in 1998, the group for legislative and constitutional politics of the Belgrade Centre produced a string of proposals for changes in existing laws. This collection contains discussions of issues hitherto neglected but particularly important to the upcoming reforms. The collection includes the work of Radmila Dragičević Dičić, Jovan Stanojević, Sanja Lekić, Mirjana Pavlović, Vida Škero, Gordana Mihailović and many others. Vladan Joksimović, Citizen Facing the State – Human Rights Manual for Civil Servants (in Serbian), 2001. Wishing to familiarize civil servants with human rights, the Belgrade Centre published this handbook, which in a concise and accessible way describes fundamental concepts and institutions important to the understanding of human rights. Particular attention is given to institutes directly related to the work of the administration. Lidija Basta Fleiner, Vladimir Đerić, Marijana Pajvančić, Dragoljub Popović, Zorica Radović, Slobodan Samardžić, Constitutional Reform in Serbia and Yugoslavia (in Serbian and English), 2001. In June 2000, when the necessity of constitutional reform became obvious as state institutions in the FRY were no longer functional and the constitution of Serbia did not comply with international standards and many inadequate solutions, the Belgrade Centre gathered a group of experts, an independent body, to offer a model of a new Serbian constitution and a solution for the future organization and regulations of relations between the two republics. The product of their work is this book. In its first part, a suggestion for the new Serbian constitution is offered, and the second part contains proposals for constitutional solutions for relations between Montenegro and Serbia (a proposal for a common state and a proposal for the state union of Montenegro and Serbia). Vladimir Đerić, Membership in the Council of Europe (in Serbian and English), 2001. In four separate parts, the author discusses the objectives of the establishment of the Council of Europe and the principles on which the operations of this regional international organization are founded on. A large part of this book is devoted to conditions for membership and the admission process, the issues of sanctions against members of the Council and the monitoring of the fulfillment of the obligations that are implied by membership. Marija Rudić, Human Rights, Handbook for Teachers (in Serbian), 2001. The handbook is intended for teachers in primary and high schools. Its aim is to offer them essential information on what human rights are and why they are important, as well as to clarify the content of individual rights that students and teachers encounter most often. Belgrade Centre for Human Rights 1995-2000 (in Serbian and English), 2000. This book discusses the reasons and motivations for the Centre’s establishment and presents the Centre’s activities in this period: seminars and lectures organized by the Centre, research projects, reports on human rights, proposals and model laws etc. This publication is published in English and Serbian, on its five year anniversary. Konstantin Obradović, Responsibility of States for International Delicts (in Serbian), 2000. Prof Obradović completed the text of this book back in 1970 but due to the immense importance of this topic of international law the Belgrade Centre decided to publish it in 2000, and thus enrich its publishing activities. The book considers the state’s responsibility as a subject, that is, perpetrator of a delict in the public international law system – a topic that has remained as one of the most controversial and most complex issues in public international law. The book presents the development of principles of state responsibility and offers solutions that might lead to codification in this field of international law. Constitutional and Legal Questions Facing the Yugoslav State (in Serbian and English), 1999. The group for legislative and constitutional politics of the Belgrade Centre for Human Rights began work in 1998 with the aim of facilitating wider public debate based on work of qualified experts and most eminent representatives of concerned occupations and professions. 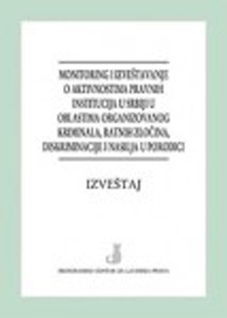 Vladimir V. Vodinelić, Vladimir Đerić, Saša Gajin, Dušan Stojković, Miloš Živković, Model Law on Public Information (in Serbian), 1998. 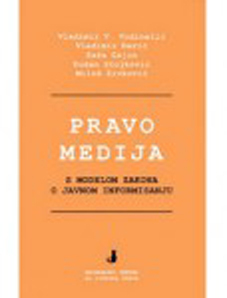 This book’s authors, members of the Belgrade Centre’s working group, composed a Model Law on Public Information, with the intention of offering the best possible legislative solutions for the organization of the media scene in Serbia, which are based on selected comparative solutions but taking in account the particulars of our community. Besides the model law, the book contains text on media law and a comparative analysis of the model law and Law on Public Information from 1998. T. C. Hartley, The Foundations of European Community Law (in Serbian), 1998. The Foundations of European Community Law offers a detailed overview of European Community Law in force until January 1st 1994. Particular attention is paid to issues that have arisen as a consequence of the changes introduced by the Maastricht Treaty and decisions of the European Court of Justice that have significantly contributed to changes in Community Law. The Belgrade Centre, in co-operation with the COLPI Constitutional and Legal Policy Institute, translated and published this book. Tea Gorjanc, Towards the Elections 2000 – A Handbook for Election Supervision (in Serbian and English), 2000. 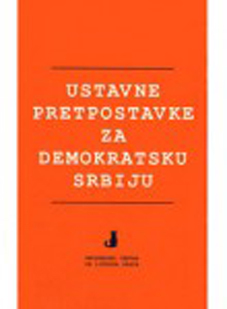 Tea Gorjanc, Biljana Njagulj, Towards Free Elections – A Handbook for Election Supervision (in Serbian and English), 1997. The handbook is intended for all those who participate in the organization of elections or supervise elections in Serbia and FR Yugoslavia, especially supervisors and controllers of the electoral process. Also, this handbook is a good starting point for research for those who wish to study the electoral process in more detail. Lidija Basta, Dragoljub Popović, Vesna Rakić Vodinelić, Zoran Tomić, Goran Svilanović, Constitutional Prerequisites for Democratic Serbia (in Serbian and English), 1997. This is the first analysis that offers a foundation for an expert, apolitical discussion on the new constitution of the Republic of Serbia. The study was prepared in co-operation with the Institute for Federalism, Fribourg, Switzerland. Vesna Petrović (ed. ), Human Rights as a Topic in Public Debate – Human Rights in Judicial Practice – Proceedings of the Round Table (in Serbian), 1997. The Belgrade Centre, in co-operation with the Centre for Anti-War Action and Group MOST organized a workshop titled Human Rights as a Topic in Public Debate – Human Rights in Judicial Practice in the desire to open up public debate to this important topic, and thus promote the culture of human rights in our society. This collection contains the participants’ presentations: Jovanka Matić, Violeta Petroška-Beška, Boža Prelević, Dr. Budimir Babović i Vlastimir Janković. Elisabeth Rehn, Reports of the Special Rapporteur on the Violations of Human Rights in the Territory of the Former Yugoslavia (in Serbian), 1996, 1997. The UN Commission on Human Rights’ special rapporteur submitted its second report on the state of human rights in the territory of the former Yugoslavia in 1996. 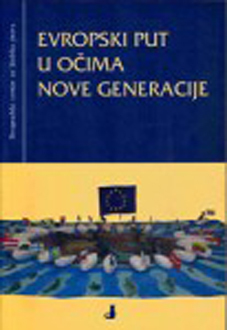 Translations of Mrs Rehn’s presentations to the General Assembly session, the report on the state of human rights in the territory of the former Yugoslavia, special report on minorities as well as the report on human rights and the forthcoming elections in Bosnia and Herzegovina are published in this book. European Convention on Human Rights, 1996. European Charter for Regional or Minority Languages, 1996. European Convention for the Prevention of Torture and Inhuman or Degrading Treatment or Punishment, 1996. European Convention for the Protection of National Minorities, 1996.